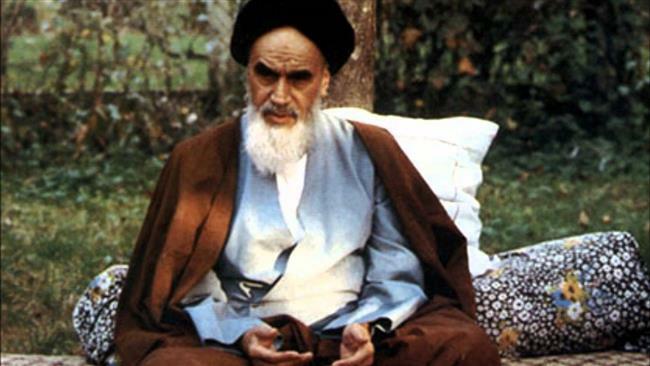 Millions of people across Iran are marking the 26th anniversary of the decease of the late founder of the Islamic Republic, Ayatollah Seyyed Rouhollah Khomeini. A large number of people and officials have converged at Imam Khomeini’s mausoleum in the Iranian capital, Tehran, to mark the passing away of the late founder of the Islamic Republic. Leader of the Islamic Revolution Ayatollah Seyyed Ali Khamenei addresses the gathering of mourners at Imam Khomeini’s mausoleum in southern Tehran, Iran, June 4, 2015. Mourners are seen during a speech by Leader of the Islamic Revolution Ayatollah Seyyed Ali Khamenei (not shown in the picture) at Imam Khomeini’s mausoleum in southern Tehran, Iran, June 4, 2015. Foreign dignitaries listen to a speech being delivered by Leader of the Islamic Revolution Ayatollah Seyyed Ali Khamenei (not shown in the picture) at Imam Khomeini’s mausoleum in southern Tehran, Iran, June 4, 2015. Mourners are seen at Imam Khomeini’s mausoleum in southern Tehran, Iran, June 4, 2015. Leader of the Islamic Revolution Ayatollah Seyyed Ali Khamenei addressed the gathering of mourners at the shrine. Imam Khomeini’s grandson, Hojjatoleslam Seyyed Hassan Khomeini, also delivered a speech during the ceremony. Ayatollah Khamenei said Imam Khomeini favored and emphasized the participation of people in different areas, including in military, political, and economic issues. Imam Khomeini had real belief in the people, and respected people’s viewpoints even if he disagreed with them, the Leader said. “Imam was openly opposed to world bullies,” Ayatollah Khamenei said, adding that the late founder of the Islamic Republic championed the cause of the oppressed. Elsewhere in his remarks, the Leader referred to police brutality in the US and said Iran opposes the violence perpetrated by US police just as the Islamic Republic opposes the acts of violence committed by the Takfiri ISIL group. Ayatollah Khamenei said Iran also opposes the Saudi military strikes against Yemen in the same way the Islamic Republic opposes the Israeli attacks against Gaza. The Leader also emphasized that the issue of Palestine will never be off Iran’s agenda. The Leader warned against the divisive polices of certain entities, including the Takfiri groups in Iraq and Syria, against Shia and Sunni Muslims, calling on Muslims not to fall victim to such plots. According to Press TV’s correspondent at the mausoleum, nearly 1,000 guests from various countries are attending the mourning ceremony. Four hundred of the foreign attendees are scholars and researchers, who have been conducting studies on the thoughts and life of Imam Khomeini. Every year, millions of Iranians from across the country travel to Tehran to pay homage to the late founder of the Islamic Republic. Rouhollah Mousavi Khomeini, better known as Imam Khomeini, was born in the central Iranian city of Khomein on September 24, 1902 to a family of scholars. He led Iran’s 1979 Islamic Revolution, which culminated in the overthrow of the US-backed Mohammad Reza Pahlavi’s monarchy. Pahlavi was Iran’s last monarch.